While most might assume that playing a musical instrument is nothing more than a hobby, there’s a lot more to it. Learning to play an instrument provides you with skills that include hand/eye coordination, improved motor skills and memory, as well as better concentration. 1. Builds Confidence – If you’re looking for a real confidence booster, you should consider learning how to play a wind instrument. With the right instructor from sources like LessonRating.com, you can receive personalized instruction at your own pace. There’s simply something about the sense of accomplishment once you’ve mastered the hurdles of learning an instrument. 2. Strengthens Breath and Lung Capacity – Your diaphragm is one of the most utilized parts of the body when playing a wind instrument. It assists you in being able to blow air in and out of your lungs and into the instrument to create sound. Through controlled and measured breaths, you can begin to strengthen your breath and lung capacity. In fact, pulmonary rehabilitation experts that help those who suffer from chronic lung and respiratory illnesses, agree that music therapy, such as playing wind instruments, as a method for healing and speeding up recovery actually works on a physical and emotional level. 3. Strengthens Core Muscles – As you’re utilizing your diaphragm which is located just beneath the lungs, you’re also using your abdominal muscles. The in and out movement of your breaths flex the abdominal muscles which help to strengthen your core. 4. Boosts Adrenaline – Did you know that an adrenaline rush in some ways can be a great benefit to your health? In fact, small spurts of adrenaline can help to boost energy levels and help you burn calories. Well, as you learn how to play an instrument and perform for others, you find an adrenaline rush as you belt out musical notes to your favorite tune. 5. Improved Hand/Eye Coordination – There’s a lot that goes into playing a wind instrument. Aside from learning how to control your breaths to generate a positive sound, you must also learn how to push the right buttons, where to position your fingers and more. The more you practice with your instrument, the better your hand-eye coordination becomes. 6. 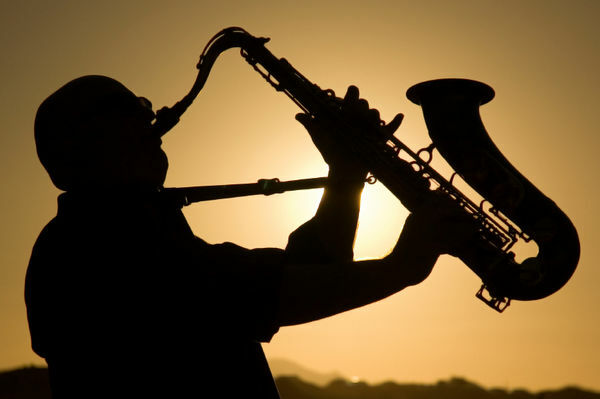 Relieves Stress – When looking for safe ways to relieve the stresses of life pick up a wind instrument. Whether you’ve mastered the instrument completely or not, the sound of music and the feeling of accomplishment you feel from playing it (to the best of your abilities) can help to minimize cortisol – the stress hormone. The better you get at playing, the more you will find your instrument to be a tool for relieving stress. 7. Helps You Set and Accomplish Goals – Learning a musical instrument is a great and fun way to begin setting and accomplishing goals. In the beginning, your goal might be to learn all the notes on the instrument. Once you’ve accomplished that you might move on to learning a new song. As you conquer each of these goals, you begin to feel more accomplished and motivated to set goals not just with music – but in other parts of your life as well. You don’t have to be a musical genius to enjoy the above-described benefits of learning a musical instrument. All you have to do is have the willpower to try something new. As you begin to master each concept of playing wind instruments, you’ll begin to see the above-mentioned benefits materialize in your life. If you haven’t the faintest idea how to play a musical instrument – it’s never too late to learn. With the help of a music instructor, you could be well on your way to enjoying the many healing powers of music.